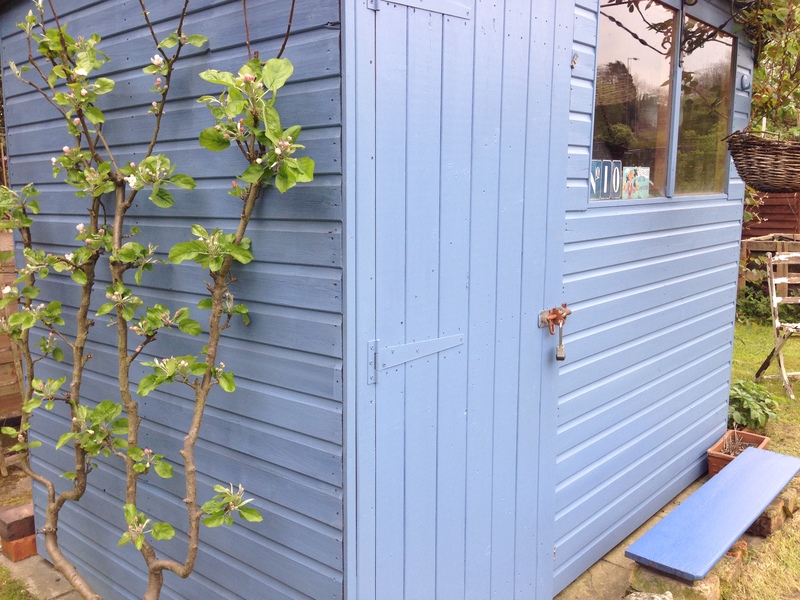 This entry was posted in Shed and tagged espalier apple tree, forget-me-not blue shed, shed. Bookmark the permalink. Such a pretty colour and very sympathetic compared to darker blue. I wonder how long it will take your neighbour to follow suit! Thank you. Yes, I prefer it too so the new neighbours actually did me a favour :0) Delightful people I should say – and after my own heart keep rabbits for which (whom?) they grow lots of carrots! New neighbour with shed envy obviously admires you greatly. To really test this out, next time go for something like Dirty Mango or – this is really daring – Glaring White. If your colour cloner responds in kind, it’s possible he’s admiring more than your Golden Gooseberries. Love your blog…I can play Fantasy Allotment Keeper here!